So ... I've heard the word "Acadian" before, but until I got this book, I didn't really know what it meant. Acadians are Canadians (say that five times fast). Or rather, Acadians came from France and were the earliest Europeans to settle in Canada. Some Acadians left Canada and settled in Louisiana, where they developed Cajun cuisine. At least that's what Pantry and Palate by Simon Thibualt says. If you believe otherwise, take it up with the author. 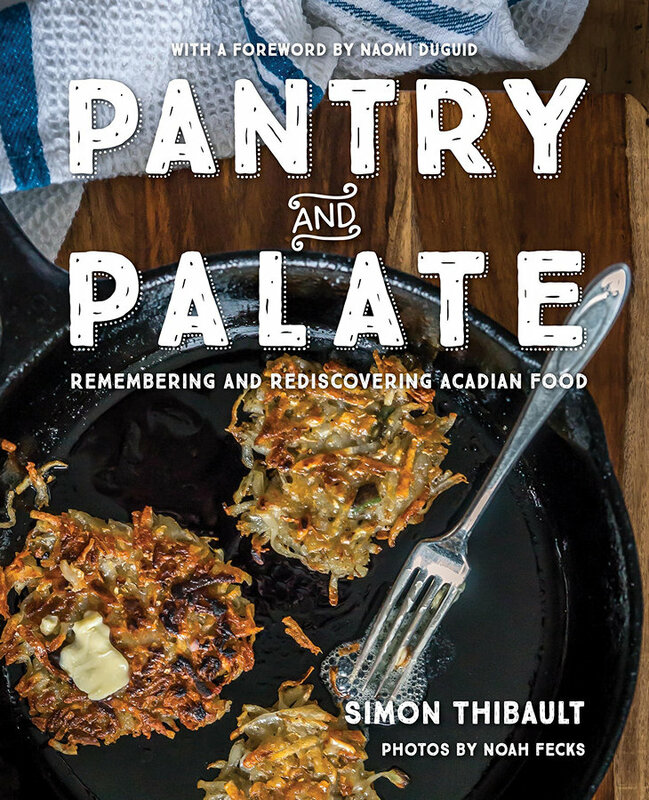 Anyway, Pantry and Palate is about Acadian food culture. And of course, recipes. So, what do Acadians eat? A recipe for pickled beets is one of the first in the book. Mmmm. Beets. There are bread recipes. I'm always up for a good bread recipe. Then there's instructions on how to render lard, and what to do with a pig head. Hmmm. I'm not sure where I'd find a pig's head, but at least I have recipes should I ever find one. Then we find Fricot, which is a soup, and then meat pies, and other comfort foods. Count me in. For dessert, there's seaweed pie, fruit puddings, apple cake, and more. Seaweed pie, by the way, doesn't include seaweed. It does include Irish moss, though. I don't think I'll be making that one, but the apple pie looks pretty good. I have to say that this was an interesting book. There are a handful of recipes I'm sure I'll never make, simply because I doubt I'll ever have fresh Irish moss or a whole pig head in my kitchen. But those were still fun to read about. The rest of the recipes, though, are doable. The soup is most definitely on the list, and since I've been watching Master Chef Canada, I think I really need to make a tortiere one of these days.